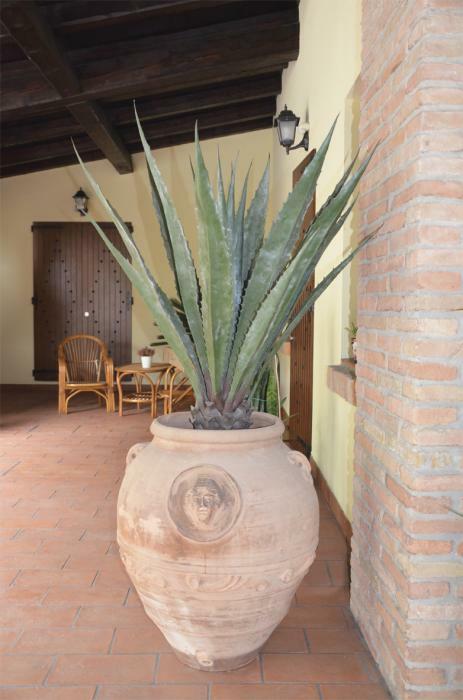 Better known by its scientific name Agave Lechuguilla, this plant has a short stem from which rosettes of leaves, with thorns along their side, spring out. It is also an excellent choice for the garden. 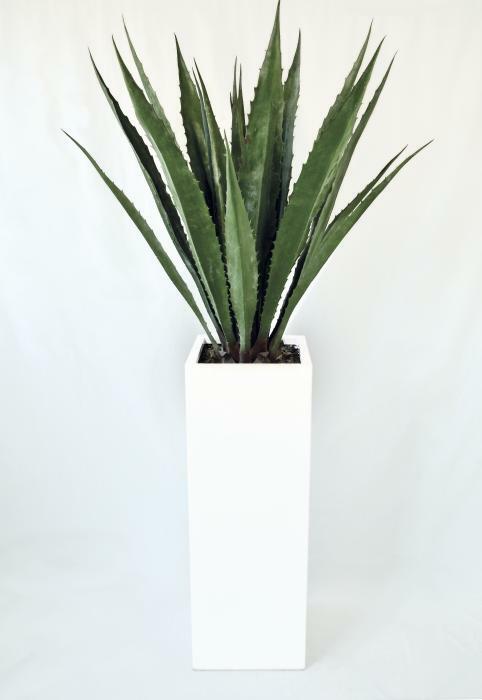 Height (without vase): 135 cm. Pot in black pvc included.